Love me some Mystery Envelopes!! would love to finally win something enter so many times…love your give aways thanks! Love your site! Thank you for the giveaways each week! Thanks Totally Target, sign me up! This would be a great surprise!!! Please and thank you!!!!! Could always use more coupons! 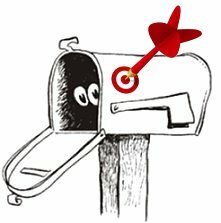 I would love a mystery envelope….shopping at Target is fun!!!! I love a good mystery.I look forward to Thursdays just for this. Love the mystery envelope! Thanks for the giveaway! Thanks for the chance to win!! Great idea by the way!! I love surprises would love to win one of these! Thanks! Thanks for the chance to win! Mystery envelope sounds fun! Thank you so much for this chance at a surprise…..I love surprises!!!!! Surprises are rare but always wanted. Never turn down a freebie. Send away. Fun! I would love to win a mystery envelope! Fun! I love the mystery envelopes! Thank you for such awesome giveaways! Opening a suprise envelope would be a great early bday gift. YAY, thanks for the mystery envelope giveaway! Mystery envelopes are great cause you never know what you’re going to get! Love the mystery envelopes! Thanks for all the great giveaways! Love your giveaways and a good mystery!